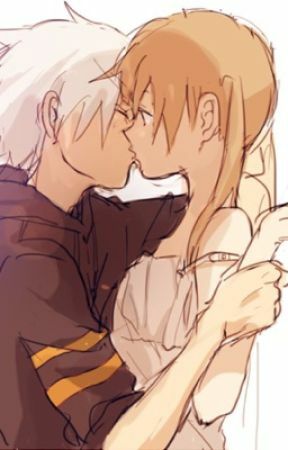 But no way I was getting out of her grip she was holding on to me for dear life "n..no..soul...plea..please stay..a little longer.." She says in her sleep "uh" maka grips me tighter and gets closer to me. I have no use but to just lay her and wait for her to wake up..."your such a pain.." I say with a smirk. I slowly wake up "h..hm?" &apos;That was soul heart beat it had a nice rythem to it&apos;  when I think this I blush. "What&apos;s wrong?" Soul ask "N-nothing! " I say "alright then soul" says getting up from my bed. " were you here all night?" I ask "and all Morning" he says trying not to laugh. 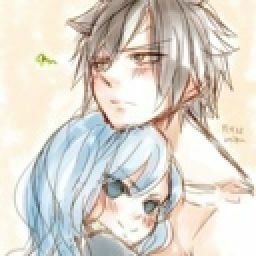 &apos;Wait was he caring for me?&apos; I blush to the thought "thank you soul" I say with a smile "..uh it&apos;s not big deal!" Soul says with a blush "are you blushing? " I ask "no! I&apos;m going to my room" he says then walks out of my room.